For those who love armored vehicles like tanks, you should like this. 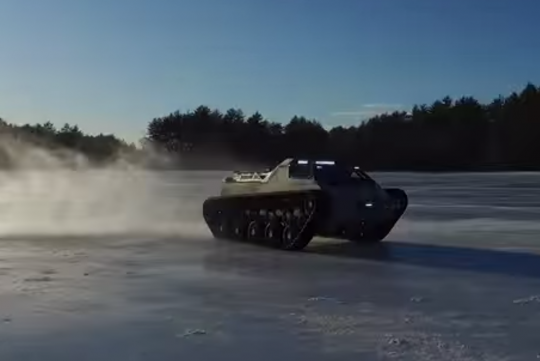 This cool tank-like looking vehicle, built by Howe and Howe Technologies looks like great fun. 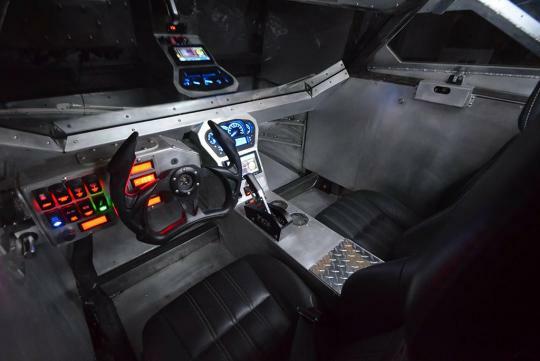 The company who created this is also responsible for the many special vehicles seen in movies like GI Joe 2: Retaliation and Mad Max: Fury Road. Powered by a supercharged 650bhp V8, the Ripsaw EV-2 can be seen doing long drifts and jumps. Maybe our army needs some of these so that our soldiers can travel to places faster!